20 May 2012: (3 p.m. at Library) Earle Shettleworth: Civil War presentation. 19 August 2012: (3 PM at Library) David Hall: Capt. William Bradford of Winslow. 13 September 2012: (3 PM at Library) Jack Battick: US Navy during the Civil War. 21 October 2012: (3 PM at Library) Kent London: James White of the ME 5th Arty. On Saturday September 17, 2011, the Taconnett Falls Chapter of the Maine Genealogical Society will host an OPEN HOUSE from 1 to 4 PM. The library is located at 10 Lithgow St. in Winslow, the former Winslow Public Library. All members and visitors are welcome. If you are new to genealogy, members with their expertise will help show you how to get started whether you have French, English, Norwegian, etc. ancestry. Forms are available to fill your ancestry out, as well as show you many resources, especially if you have Maine connections. There will be free light snacks and coffee and visitors can tour the library and view the large number of books and records available for research. Several computers are also available which have many records as well as thousands of obituaries filed in alphabetical order. At 2 PM the Chapter will hold their giant raffle which has 11 nice prizes. It will be the last chance to buy raffle tickets for this drawing. This is a fund-raiser to help the Chapter pay for heating expenses during the colder months. The Chapter has a web site at: http://home.gwi.net/~frenchgen/taconnett.htm with a map showing the location of the library is on the above web page. The next meeting of Taconnett Falls Chapter will be on September 20th. Here is a chance to hear from one of our local experts, not to mention a past winner of the Maine Genealogical Society’s Award of Excellence in Genealogical Service – Thelma Eye Brooks. Thelma’s topic for the September meeting will be “What to find in Civil War Records.” With the effects of the Civil War touching virtually every family in some way, this should be an excellent talk of benefit to all family history researchers. 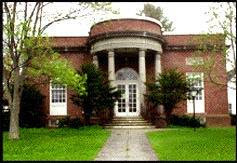 The Society meets at the Taconnett Falls Genealogical Library, 10 Lithgow Street, Winslow, Maine. The library opens at 1 p.m. on meeting days. For more information, please visit their website at www.rootsweb.ancestry.com/~metfcmgs. The Taconnett Falls Chapter of MGS announces their 6th Annual Genealogy Fair. This popular event will be held on Saturday, June 20, 2009, at the Taconnett Genealogy Library, 10 Lithgow Street, Winslow, Maine, from 9:00 a.m to 3:00 p.m. Everyone is invited to spend a relaxing day devoted to researching and networking. 10:00 “There’s a long, long, road a-winding, but you CAN get there from here-ah”. Sarah Crockett will share some of the lessons learned from her experiences. 11:00 “Organizational Tips for Genealogists” will be presented by Carolyn Browne. 1:30 “Brick Walls: A Panel Discussion” moderated by Janet Weymouth is just the place for help with your questions like – where should I look? what’s next? or ___? Panelists will be Jerry Gower, MF-1790s contributor and Washington County expert; Kay Marsh, Kennebec Valley family researcher; and Carol McCoy, noted genealogical researcher and national presenter. Representatives of various societies including Penobscot County Genealogical Society, the recently formed Sidney Historical Society and Vassalborough Historical Society, plus others will be at the fair to share with you information about the valuable resources offered by their societies. Debbie Roberge will be available to show you all the ins and outs of the RootsMagic software. While at the Fair, check with others to see which software they prefer. Celeste Hyer, MGS Membership Secretary, will be available for Maine Genealogical Society related questions. Check out what’s offered by the Maine Old Cemetery Association (MOCA). Family association representatives including Roland Rhoades, who will share the latest Rhoades updates along with listings of Universalist & Unitarian ministers in Maine. Janice Gower will be sharing her extensive knowledge of the Woolwich area and the expertise she has gained compiling may sketches for the Maine Families in 1790 project. If you have Maine roots you will likely need to know about Franco-American research. Clair Poulin from the Maine Franco-American Society (their library is in Auburn) and Taconnett’s own Franco expert, Bob Chenard, will be available to help with the unique aspects of this type of research. Ancestry outside of Maine? Check with Barbara Gunvaldsen experienced Scandinavian genealogical researcher. What a full day! And did we mention the book sale, prize drawings and refreshments? If you didn’t attend one or all of the first five fairs, you really missed out – Don’t let that happen again. For more information, visit their website at www.rootsweb.ancestry.com/~metfcmgs – or you can email taconnettfalls@yahoo.com – or call (207) 873-5590. July 19th – Carolyn Browne discusses how to join the Mayflower Society and Carolyn Kelley discusses how to join the DAR. The Taconnett Falls Genealogy Library is located at 10 Lithgow Street in Winslow, Maine. The library is open on Saturday from 10 AM to 4 PM. The library opens at 1:00 PM on meeting days, the 3rd Sunday of each month. For more information, you can contact them at taconettfalls@yahoo.com. Snow in December caused the postponement of Taconnett’s Annual Party. It has been rescheduled for January 18, 2009. Plan to attend and bring something to share with everyone. The group meets at its’ Taconnett Genealogical Library located on Lithgow Street in Winslow. Newly elected officers for 2009 include: Fred Clark, President; Kent Sinclair, Vice-President; Laton Edwards, Treasurer; and Barbara Gunvaldsen, Secretary. To learn more, visit their website at: http://www.rootsweb.ancestry.com/~metfcmgs/.